These little bags are inspired by the art of Gustav Klimt, they are made from layeres of black velvet, transfoils, sweetie foils and organza. The whole sandwich is topped of with machine embroidery. 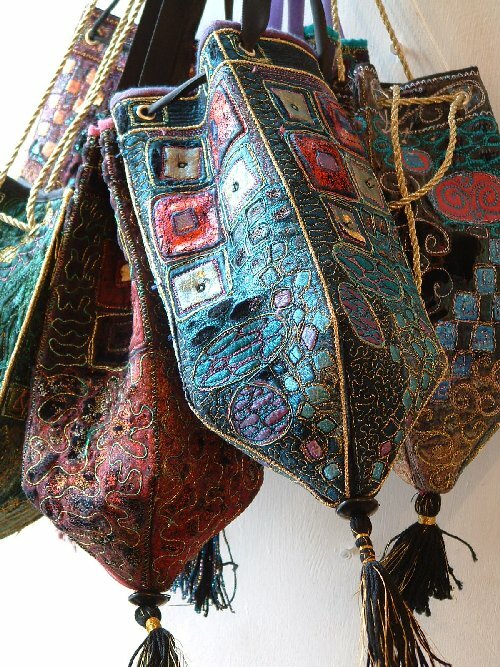 These bags can be made on a workshop and were feature in the Christmas 06 edition of Stitch magazine.